The video shows the artists getting married in their working studio in Finnish Academy of Fine Arts. The studio is built to resemble the official marriage registration office in Helsinki where people have half an hour time to get married in the presence of two witnesses. The video deals with the theatrical aspect of a wedding ceremony by using elements such as lighting, movement of the camera and expressions of the performers – who are playing a familiar act but in an unfamiliar situation. 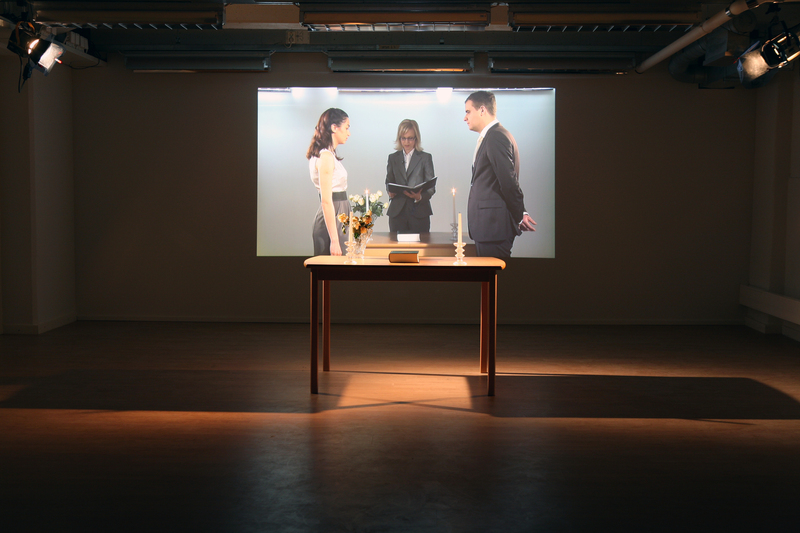 This focus on theatricality and the switch between documentary and fictitious style of the video raises the question of the validity of the marriage and the motivation behind it, which is answered in the work itself by two framed documents that are mounted on the wall in the same space. One document is the original marriage certificate of the artists issued in May 2011 and the other one is a certificate of applying for a Finnish residence permit in 2009.